Hot air rises, causing temperature differences at various room levels. 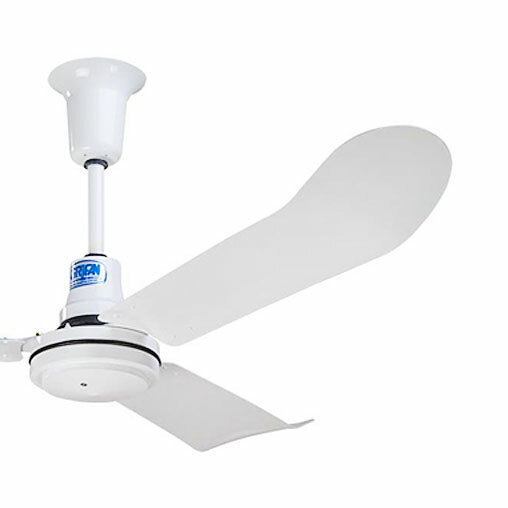 The ceiling fan (at efficient speeds) forces the stratified, heated upper-air down. This will help drop your heating and cooling bills.